New York City will be home to a new music festival this coming October. Founders Entertainment, the masterminds behind Governor’s Ball, has announced The Meadows Music and Arts Festival taking place October 1st and 2nd in Flushing Meadows Corona Park in Queens. 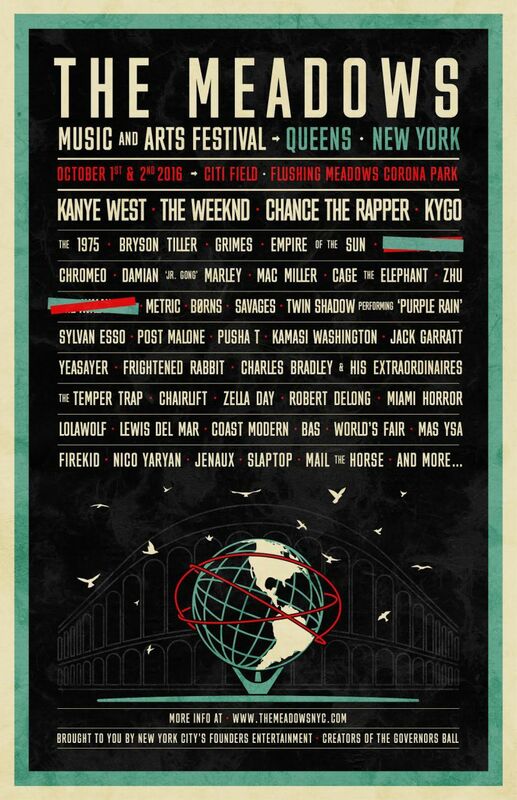 Governor’s Ball attendees will be pleased to hear that Kanye West will headline The Meadows festival. 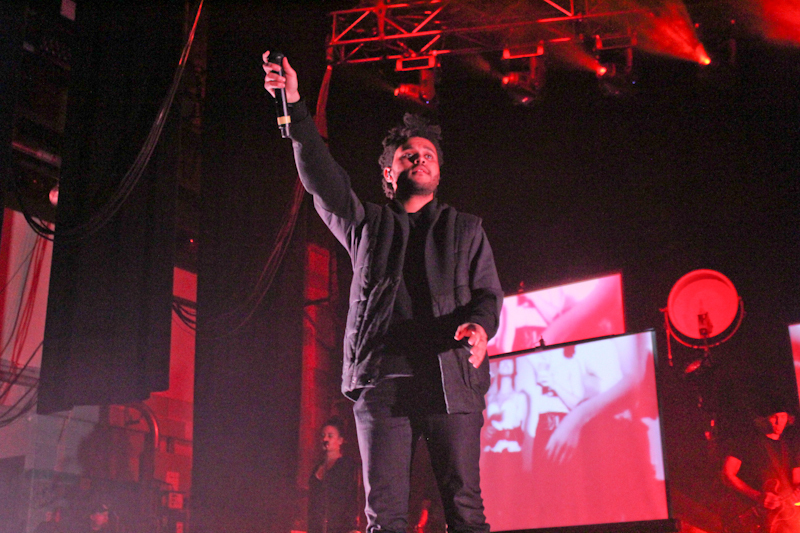 The booking comes after West’s set at Governor’s Ball was cancelled due to extreme weather. Chance the Rapper, Grimes, Cage the Elephant, the 1975, and Sylvan Esso are among many artists joining West in Queens this fall. Twin Shadow is also set to perform “Purple Rain”. Besides the sweet music lineup, the festival will offer a wide array of food, drinks, art and culture. Those with Governor’s Ball tickets will get access to a special presale on June 22nd. Everyone else can purchase both general admission tickets and VIP tickets starting Thursday, June 23rd. Buy tickets for the festival here.